Happy Saturday guys and it's a long weekend too...wooo! I bought this gorgeous Kimono from New Look recently and it inspired me to do a mani. 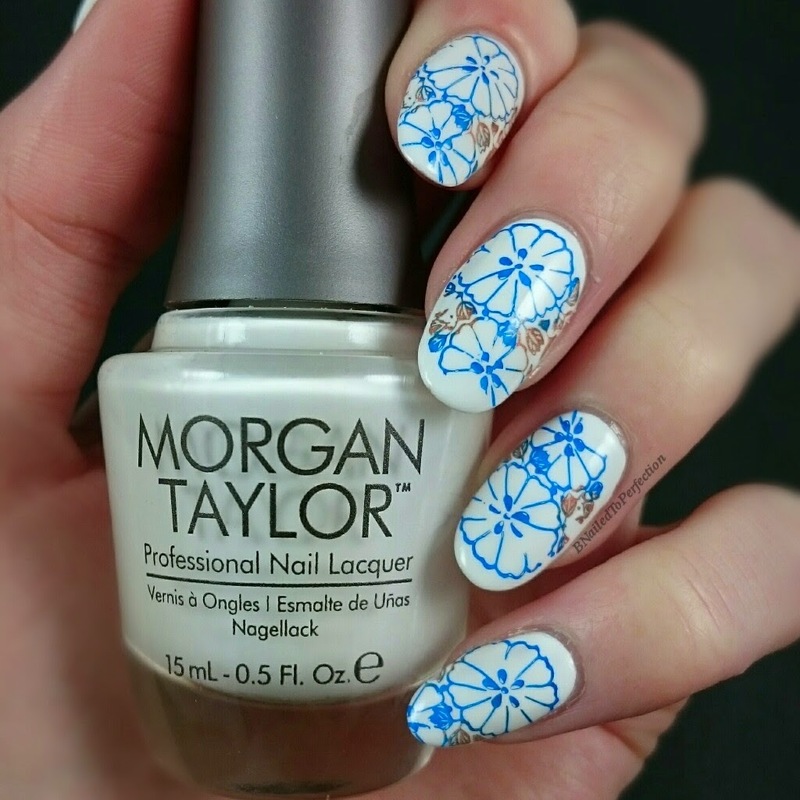 For the base I used three coats of Morgan Taylor's All White Now and then topped it off with my HK Girl fast dry top coat. 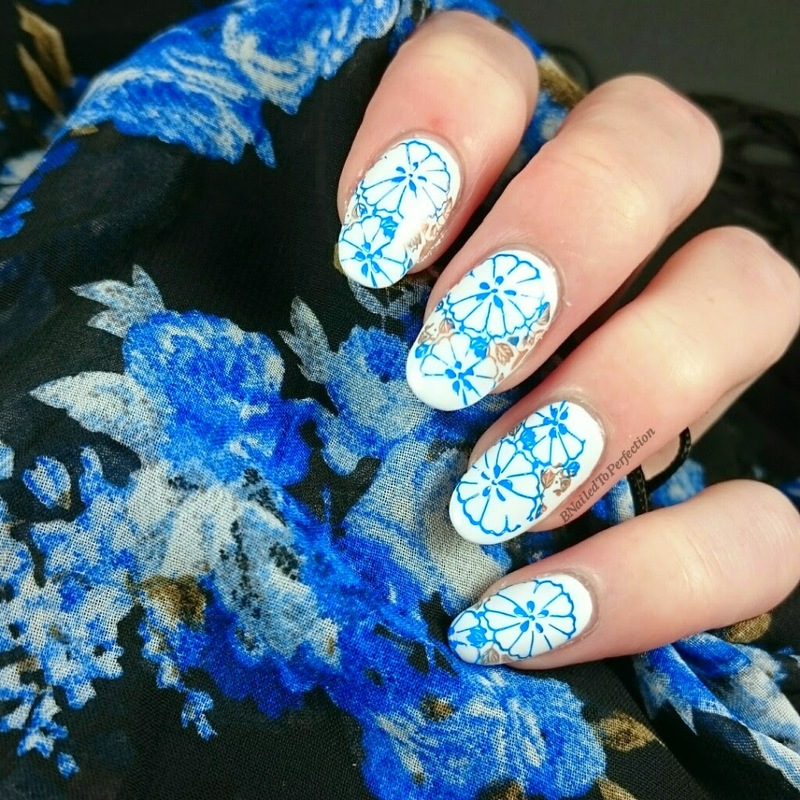 For the stamping I used two of my Dashica stamping polishes in Blue and Bronze. 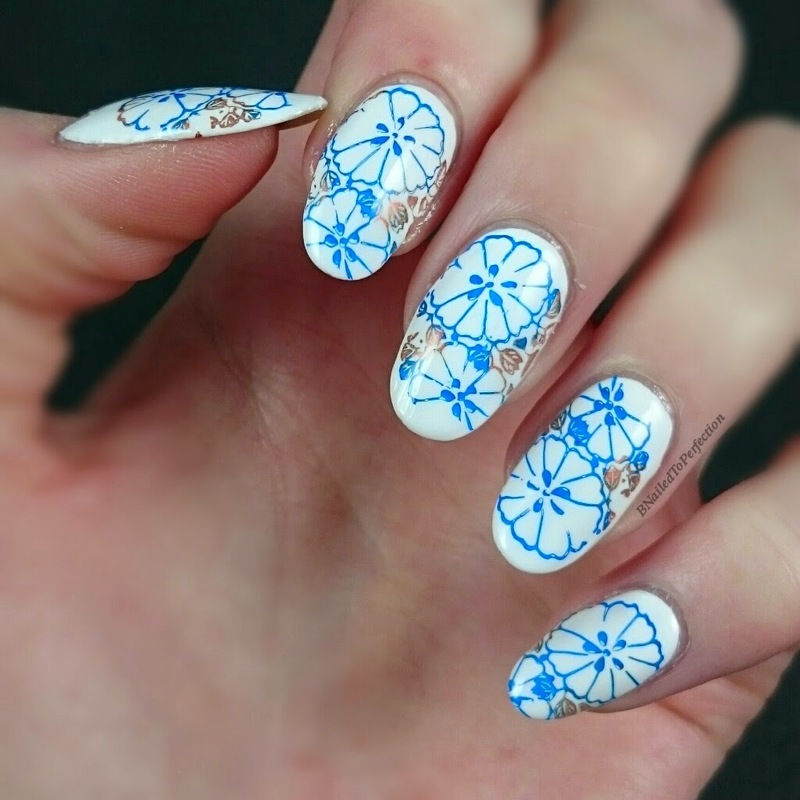 I the used an image from this Chic Flower stamping plate that I received for review from Born Pretty Store. 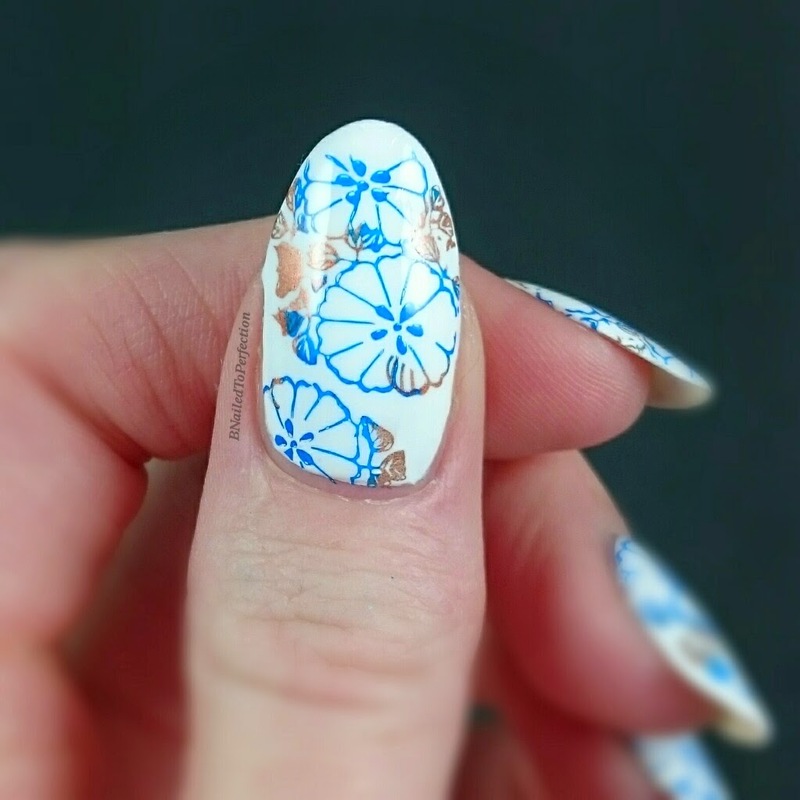 I like how the flowers aren't perfect like the aren't on the kimono, but I think that was due to my stamping rather than the plate! I rushed these nails as I did them not long before leaving the house for a big family meal with my boyfriend and his family. If you want to check out Born Pretty Store be sure to use code BNG10 at the check out got 10% off! What do you think of my fashion inspired mani?